So let’s start in Delhi. 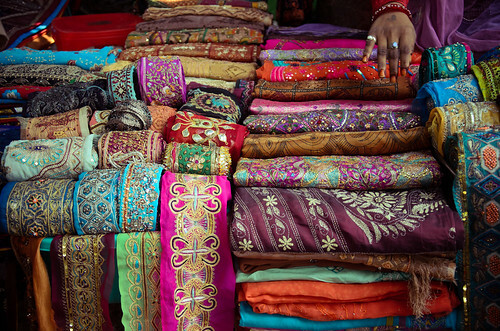 The first thing that hit me about India was the amazing colour. Colour everywhere. 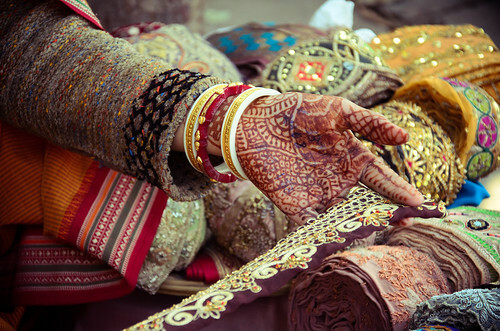 I don’t know why, but I’d somehow of expected India to be like many other Asian countries I’ve visited where people’s clothing choices are largely influenced by Western trends. 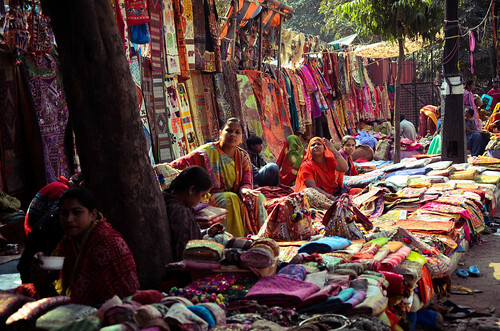 Instead, I was thrilled to find that from the richest, most privileged women in New Delhi, to the women selling vegetables on the streets – everyone took such pride in their traditional dress! 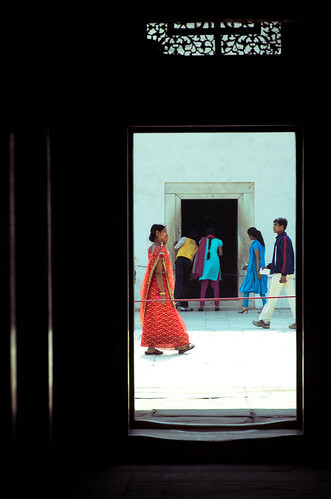 Red Fort – you don’t really want to know how long I waited for the girl in the orange Sari to walk across the doorway. 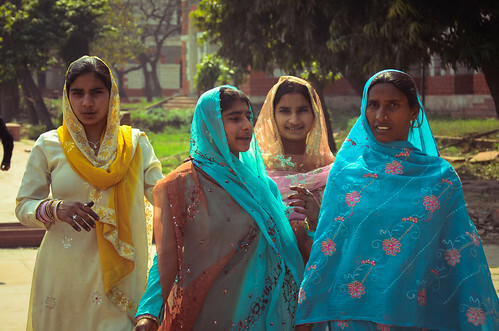 You don’t understand how much of a dag I felt in India, with everyone wearing such beautiful dress. I brought a pair of jeans in my suitcase… and then resolutely made sure they stayed in there. 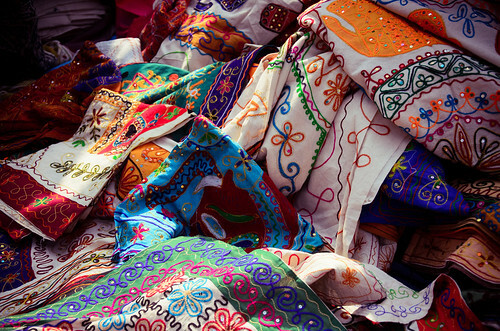 One of my favourite things we did on our first day was visit the Janpath market. Janpath translates to “People’s Path” – and is one of the main roads radiating off the giant roundabout that is Connaught place. 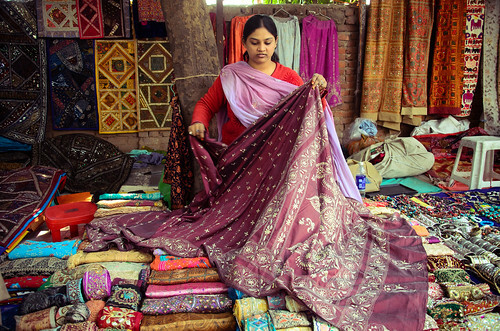 It features a gigantic stretch of shops and stalls selling all sorts of handicrafts, from countless scarf and shawl stores, sari stores and beautiful jewellery stores. 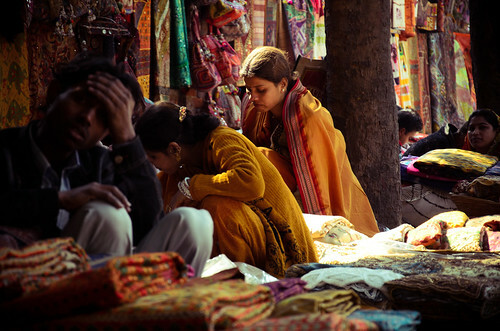 Bargaining is a national pastime in India, and though we were all pretty sure of our mad azn bargaining skills to start with, I’m preeeetty sure we got plenty ripped off. Later on, Tina’s fiancé, Gautam – pretty much confirmed our suspicions. Instead of starting the bargaining at half price like the rookies we were, we should have started at one TENTH! You wouldn’t believe the amazing things they sold. 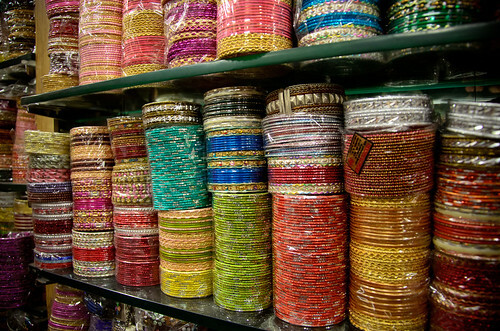 Fi and I pretty much walked up and down Janpath with our eyes bulging at all the beautiful things. 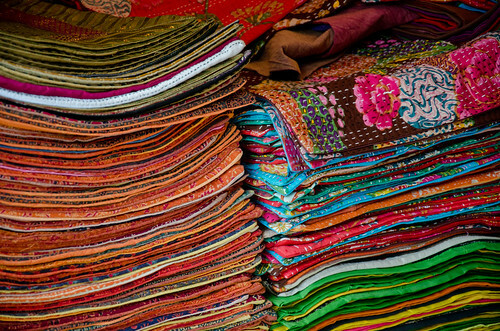 And as beautiful as the goods in the little stalls were – we knew we hit the jackpot when we wandered into a little lane adjacent to Janpath – which I found out later was also known as Gujarati Market. Unlike most of the permanent stores on the main road – which were primarily run by male shopkeepers – this little laneway was an open air market primarily run by women. 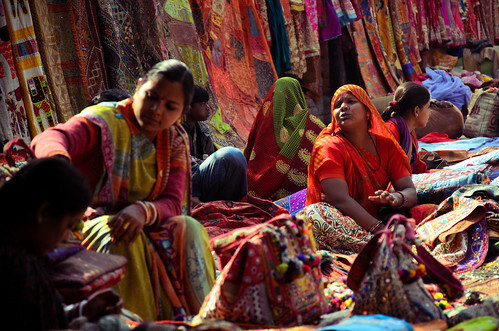 After speaking to one or two of the women here, we found out that the women here were selling the handicrafts from their native region of Gujarat. 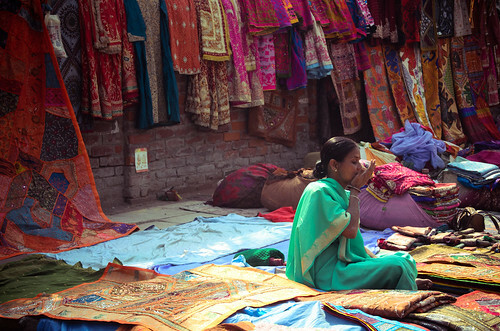 Seeing the skill and beauty of the things these women were selling was incredibly humbling. WOW! All the beautiful colours! I want to know how long it took for you to take that shot! 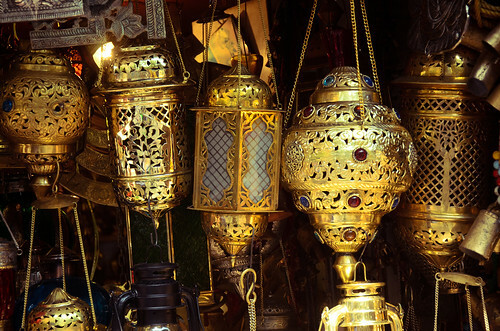 lol Even though some things we buy in developing countries will always be cheap, half the fun is the haggling process! Ahaha enough time that a family of tourists came over to see what was so exciting in that doorway that I was looking at. I know I know… kicking myself. But do you ever get overwhelmed by choice, and then end up with nothing? That was totally me!! 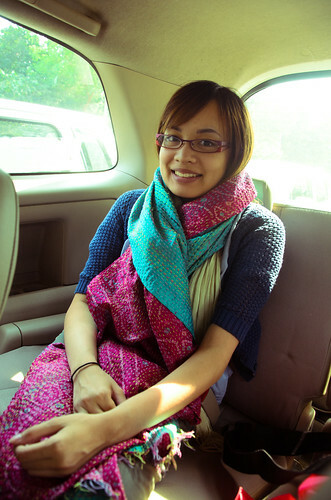 Hhaha Love the photo of you in the scarf!